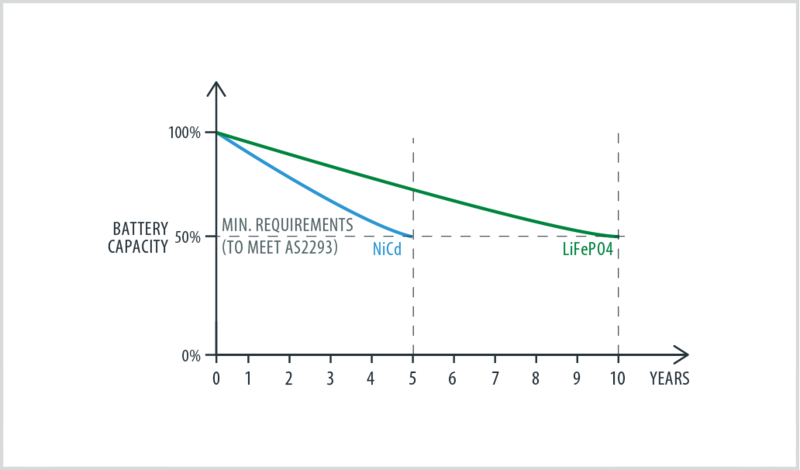 Generation III implements smart charging specifically designed for LiFePO4 batteries. It uses an optimal charge algorithm designed to maximise the charging efficiency whilst ensuring the battery is charged in a minimal time. The smart charge system continually monitors the battery to ensure it is always performing at its peak and ready for the next emergency. Generation III products employ a sophisticated multi-rate battery charger. This advanced battery charger increases the service life of the battery by reducing the charging periods of the battery and thus reducing the chemical process internal to the battery. The reduction in charging time helps preserve the battery’s electrolyte and reduces the crystallisation that can occur when continually charged. 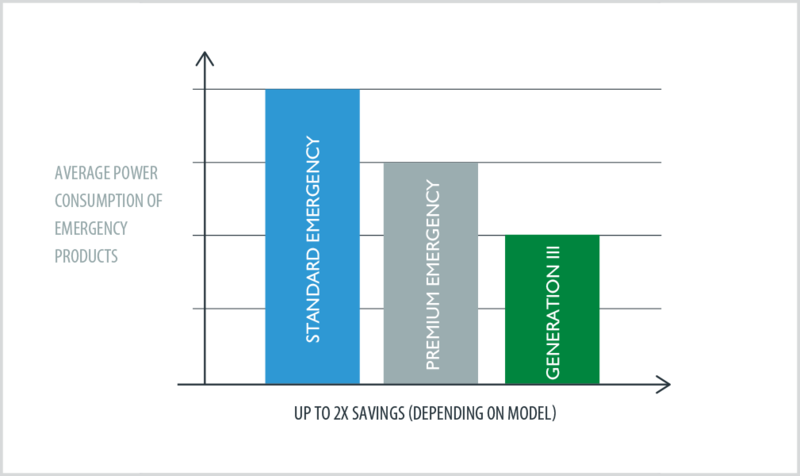 Utilising the best concepts, the Generation III inverters work hard to reduce overall power consumption. With smart battery charging and automatic power factor disabling, the overall power consumption is considerably lower in comparison to competitive products.